Lange Lift Manual Powered line of lifts features standard capacities from 1,000 - 4,000 pounds per lift and a 1/4" thick Formed & Welded Flat Steel Deck. 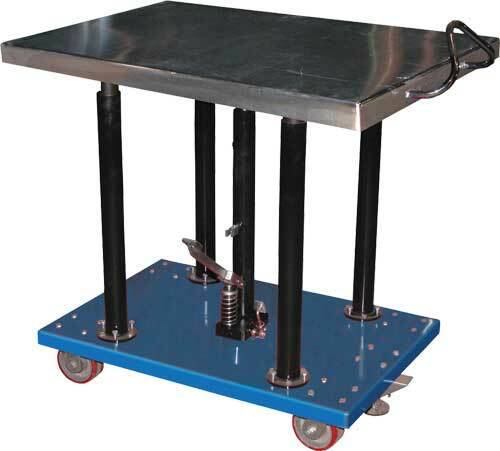 Foot-operated hydraulic post lift tables built for heavy duty shop use such as lifting dies and castings, moving machine parts, and similar material handling jobs. 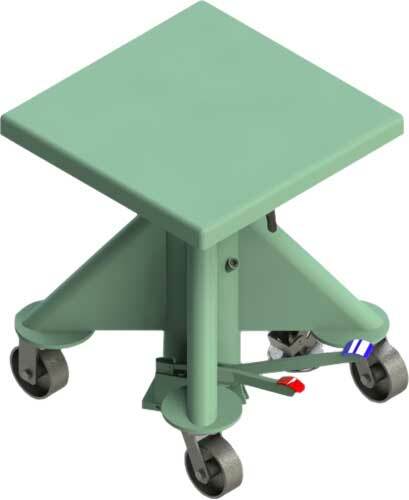 The Long Deck Cart is perfect for sheet and strip handling, ergonomic load positioning, and handling long awkward material loads. 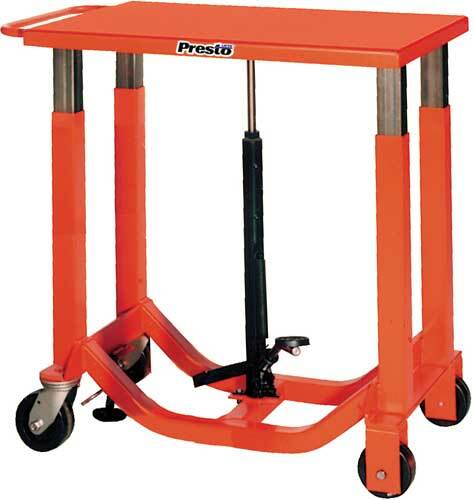 Presto's Manual Post Lifts are excellent transporters and work positioners. 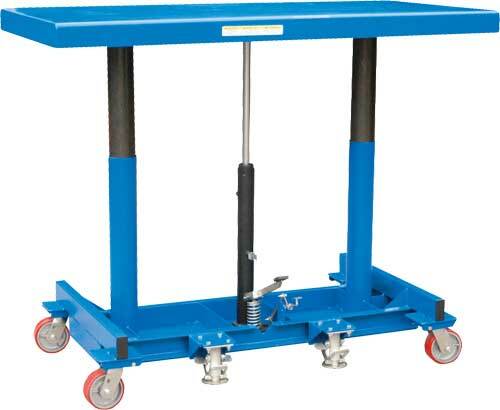 Smooth lifting and lowering is achieved by a central lifting cylinder. 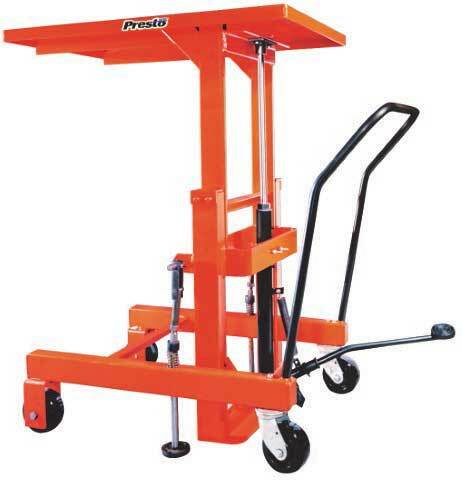 An easy to use foot pump raises this hydraulic lift a full 5 feet high. The ergonomically designed drive handle is at a comfortable height and makes this unit extremely manueverable.